2.Last Week We Showed the S&P Dividend Yield Dipped Below the 2 Year Treasury…..Euro Stoxx Still Well Above German Bond Yields. Now, equity markets are where greater opportunities may lie. 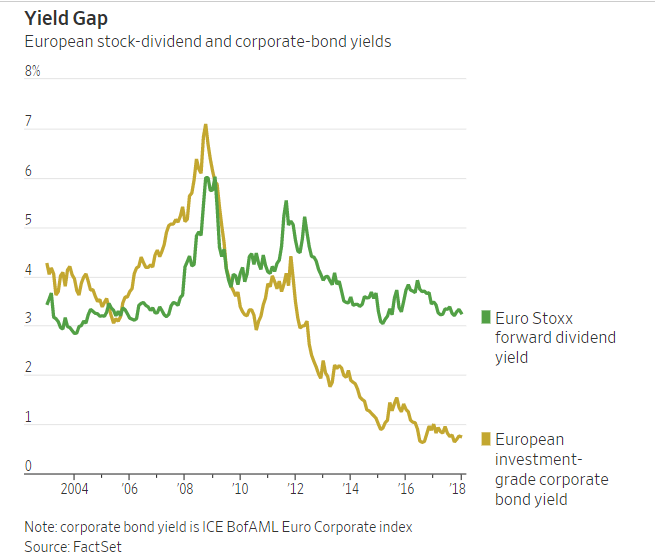 The Euro Stoxx forward dividend yield of 3.2% is far in excess of German government bond yields and European investment-grade corporate bond yields. By contrast, the S&P 500 dividend yield, at 1.91%, is now below the two-year U.S. Treasury yield and far below corporate bond yields and this week touched its lowest since 2007, according to FactSet data. 3.Analysts Have Not Yet Ramped Up Earnings Estimates from Tax Reform. 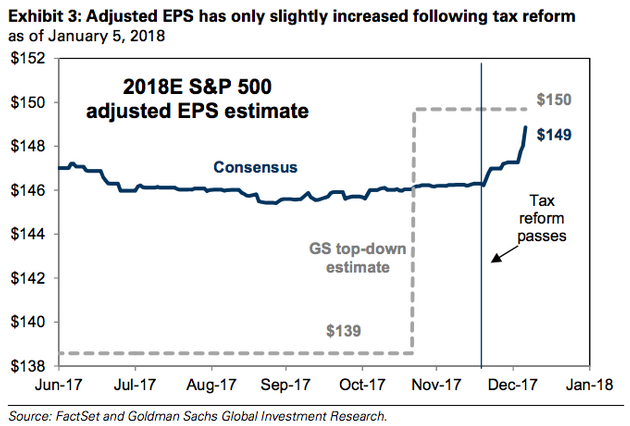 Goldman points out that analysts have been lagging the market when it comes to pricing in the positive effect of tax reform – So far consensus 2018 earnings-per-share estimates (EPS) has risen 2% since the bill was successfully passed. 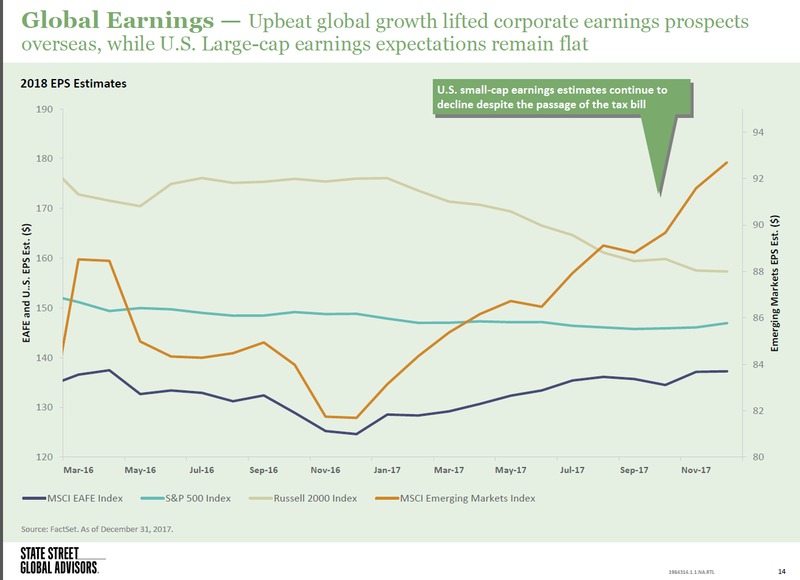 And Goldman thinks that there may be more optimism to come, as evidenced by the 5% total boost it sees EPS getting before all is said and done. 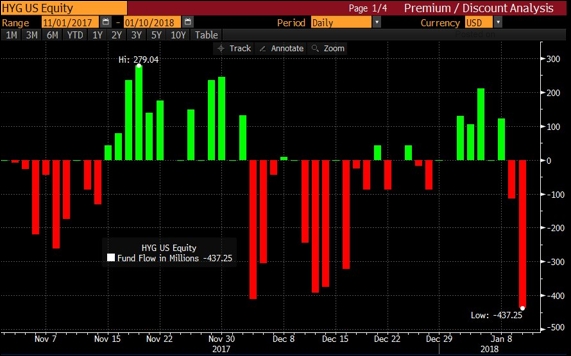 Credit: As China spooked the bond markets on Wednesday, investors pulled a massive amount of capital from the largest HY ETF (HYG). Is the US Economy Heading for a Time Out? While some investors are concerned about the Fed not making any headway, others have the opposite concern. They’re worried about the flat shape of the US yield curve. That’s because, historically, a flat yield curve has signaled a potential deceleration in economic growth. 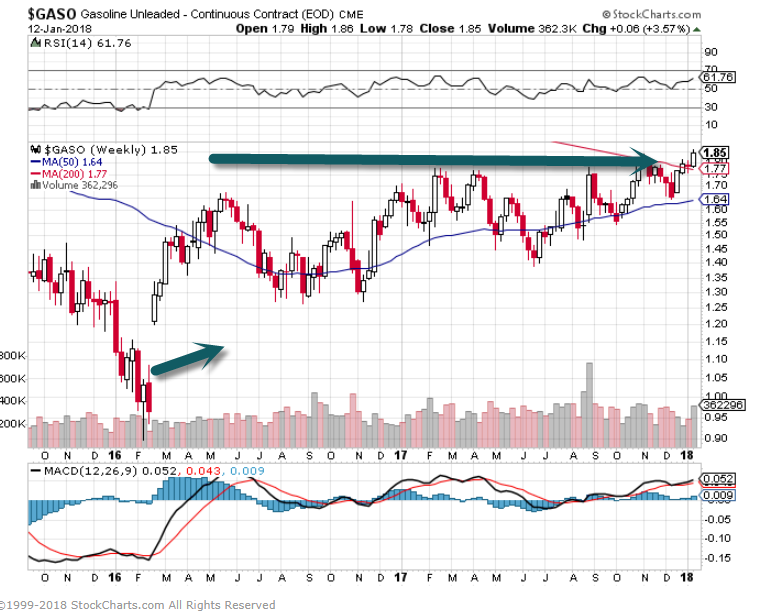 Could a recession be imminent? 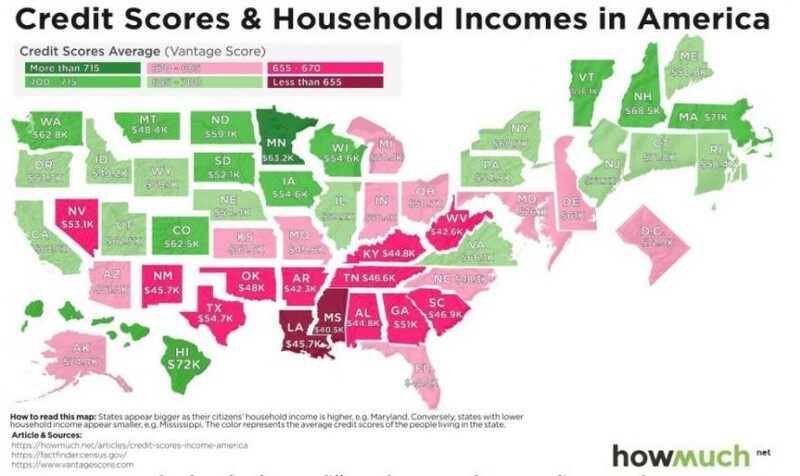 We don’t think it’s time to worry about a looming recession just yet. The curve is still considerably steeper today than it was in the run-up to previous recessions (Display). 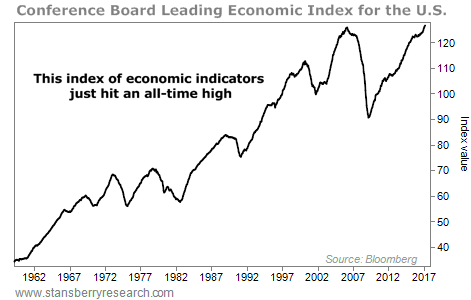 6.Recessions and the Index of Leading Economic Indicators. You never get a recession without the Index of Leading Economic Indicators falling below zero. 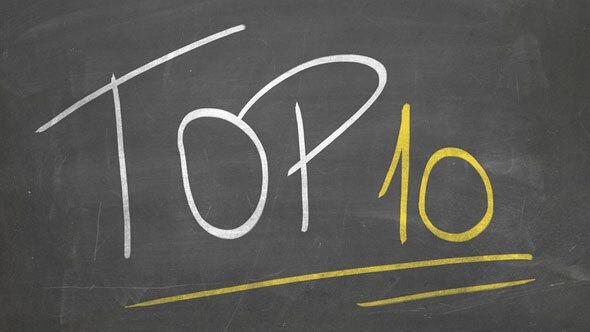 In the U.S., it is up 5%-plus, year over year, and the trends look to be persistent. The soft data, including the Purchasing Managers’ Index and measures of CEO and small-business confidence, are all at high levels. These types of sentiment indicators fall off a cliff in front of a recession. 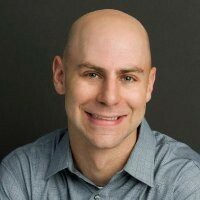 7.Turning Lights Off on Utilities….. 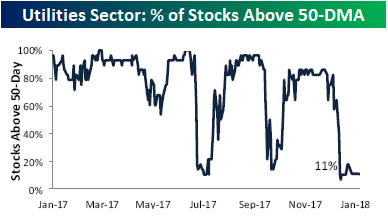 The other illustration of the Utility sector’s pitiful breadth is the percentage of stocks in the sector trading above their 50-day moving average. Currently, that stands at just 11%. Again, this is an extreme reading. 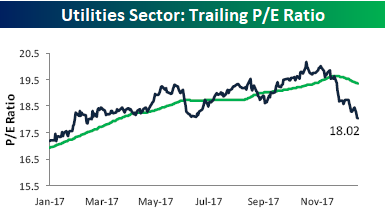 Given the declines, one would think that the sector’s valuation would be starting to look attractive, and while the sector’s P/E ratio has come in pretty significantly from over 19.5 times trailing earnings, it still trades at just over 18 times trailing earnings, which for a little to no growth sector, doesn’t exactly scream buy. That said, from a short-term perspective, the sector should be due for at least a bounce.